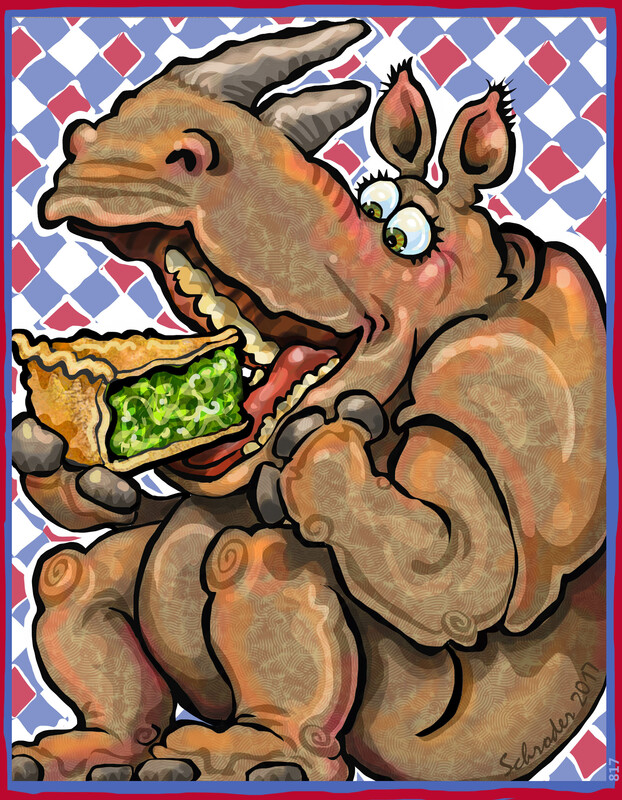 Rhinos are oh-so-much into the spirit of Pie Day, snarfing up foods that make Us merry. We need a lot of food to keep ourselves in trim, and pie is always an attractive idea. We do not actually have pie in the Wild, but We can conjecture pie at any time, with crust or without. All of our pies are vegetable pies, that being all We eat. Pictured is a Grass Pie, a recipe of our own.